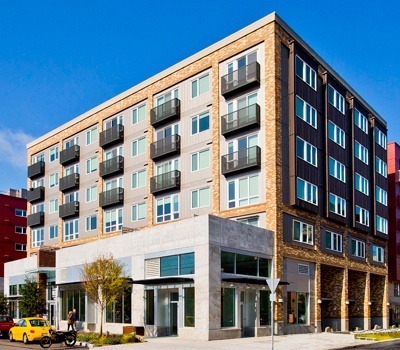 As part of the first phase of the Columbia City Master Plan, GreenHouse Apartments integrates urban agriculture with the built environment to create a sustainable lifestyle. 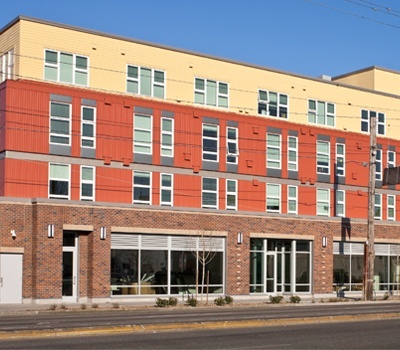 The five-story building provides the neighborhood with 124 units of mixed apartments and town homes and parking space for 90 vehicles. 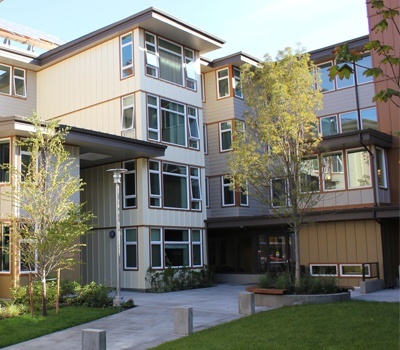 Exterior patios, a large courtyard, and roof deck with a greenhouse are part of what makes up this highly eco-friendly building. 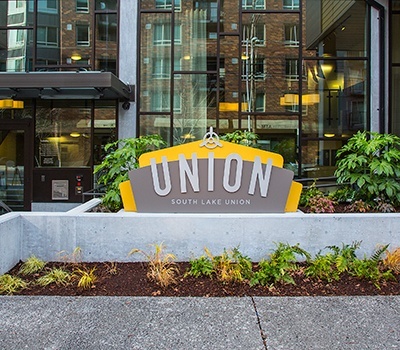 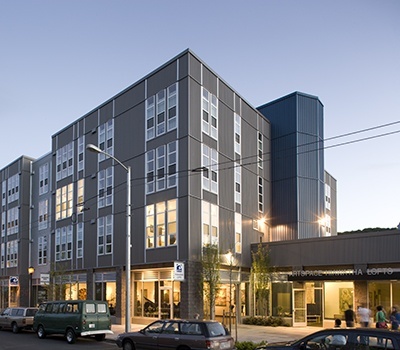 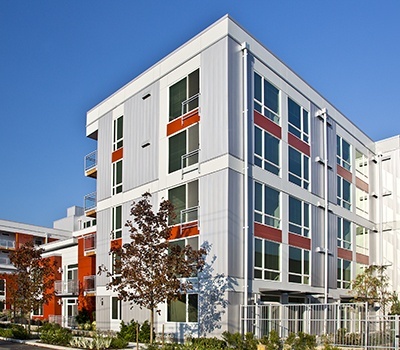 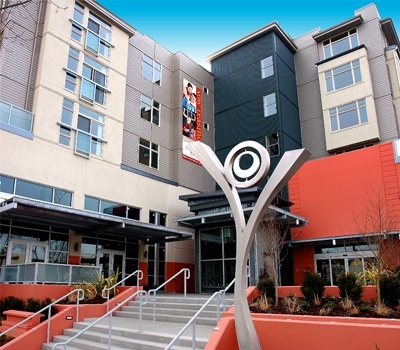 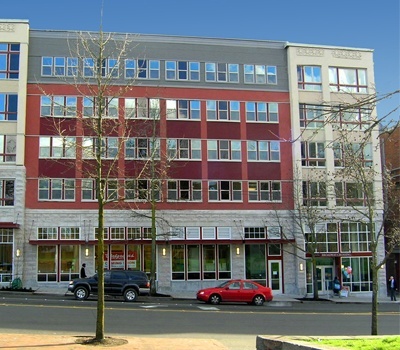 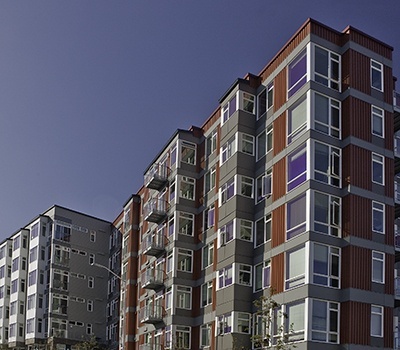 Located just blocks from the Sound Transit Light Rail line, the site creates a transit-oriented development that gives residents alternative transportation options. 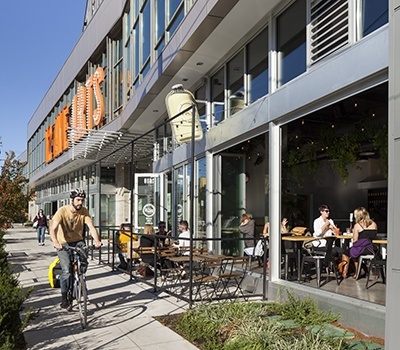 Our firm engaged in close coordination with local stakeholders to help reinvigorate the neighborhood while still preserving the historic character of the area. 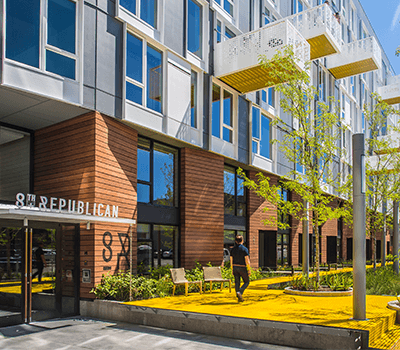 Creating a stormwater management system on this highly urbanized site required creative planning and strong coordination with the architect, culminating in extensive use of rain gardens, porous paving, permeable sidewalks and cisterns to defray stormwater detention and treatment costs. 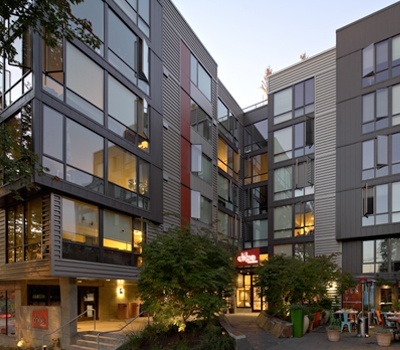 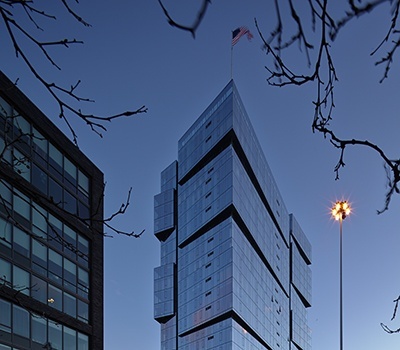 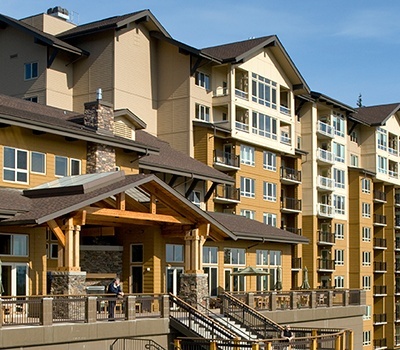 Pursuing LEED Gold, PCBC Golden Nugget Awards 2014 "Merit Award"